Now a first-ever University of Guelph study has uncovered precisely when and where tree swallows—a common migratory bird—stop during flights that can span more than 3,500 kilometres across North America. The findings tell us more about migration and help us understand threats faced by the birds throughout the journey, said Prof. Ryan Norris, Department of Integrative Biology. 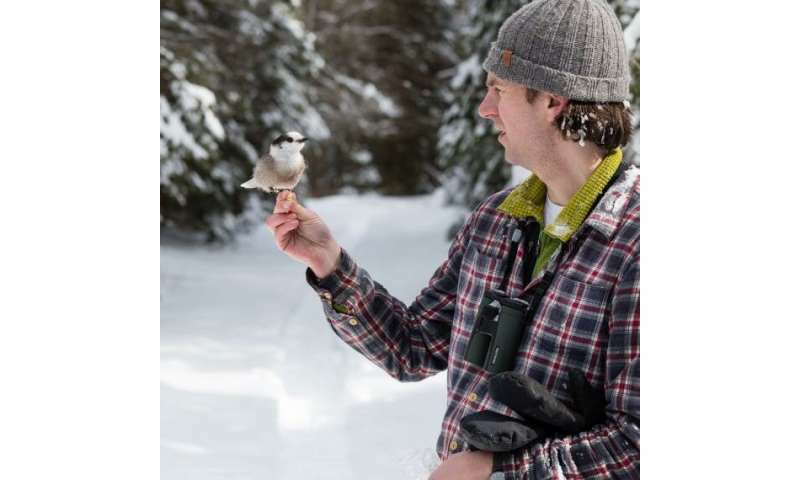 "Migratory birds are really just visitors up here," said Norris, who worked on the study with post-doc researcher Elizabeth Gow, which was conducted in Norris Lab. "They breed for a couple of months and then spend the rest of the year in migration and at their tropical wintering grounds. If we are to make any progress towards understanding what is causing their declines, we need to know how these stages of the annual cycle are linked." Published recently in the journal Proceedings of the Royal Society B, the study is the first to track the timing of 12 geographically distinct North American breeding populations of tree swallows across the continent. Previous studies have followed just one population at a single latitude. The researchers measured how long birds spent at the breeding grounds to raise their young, when they began migration and stopped to refuel, and when they arrived at their wintering grounds. "In the timing of the different things that these birds need to do, there is a cascading effect," said Gow. "The timing of the start of breeding influences when they leave their breeding site. How much time they spend at their refueling sites influences when they arrive at their wintering sites. Understanding when birds move between breeding and wintering sites, and how different populations move, can help identify when and where they may face the greatest threat to survival, Gow added. "That allowed us to really understand how these timing events may be different at different latitudes," said Gow. No matter where migratory birds breed in North America, they follow a tightly linked chain of events from breeding grounds to tropical winter grounds, said Norris. "What that suggests is that there may be things that disrupt that schedule, but birds then have a chance to reset for another annual cycle in time to migrate north," he said, adding that the ever-important reset part of the schedule is highly predictable. "If we see a bird breeding late in the season, that bird will be late in all other stages that follow, until they reach the wintering ground," he explained. "An early bird will be early all along the way, until they return to the wintering ground and restart the process." Though the research did not study climate change directly, Gow said, weather may affect such things as departure times between destinations or the relative abundance of insect prey along the way. She said the study helps in understanding how environment shapes a species' ecology and evolution. Learning how disruptions affect the timing of migration events could help predict how the birds will respond to a changing climate, she said. "When a bird doesn't have enough time to complete a stage, or when time is really tight for them to complete a cycle, it may have consequences for how they raise their young and get them prepared to migrate."